What is it like to see a larger-than-life bird made up of a record-setting 1,218 individual drones fly seamlessly over a full stadium? What did it take to plan for that number of drones to come together to create the shapes of snowboarders and skiers and the five Olympic rings? While that was the plan, that didn't quite happen as expected, possibly due to hacking. 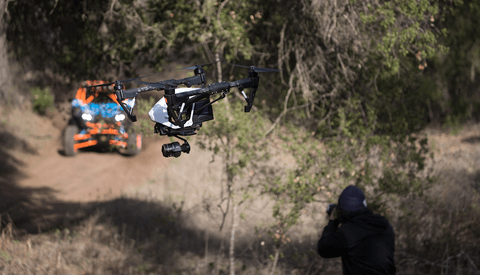 But take a look behind the scenes of Intel's Olympic drone team as they prepared for this year's winter Olympics ceremonies and completed the record-setting flight that made NBC's delayed U.S. broadcasting of the opening ceremony. Humans seem to be terrible at being responsible for even just one drone. And we're just now getting used to seeing reliable obstacle avoidance as standard features on prosumer drones. But what would it take to launch over 1,200 drones in close proximity to one another, each equipped with multi-colored LEDs and tasked with creating the most intricate moves of living creatures in a larger-than-life recreation? This video dives into some of the challenges Intel's drone team came across in their run-up for the 2018 Winter Olympics opening ceremony. In freezing temperatures and ever-changing weather conditions, the team was eventually able to launch over twice the number of its Shooting Star drones from its previous 500-drone record, and the results were stunning. But the drones didn't get off the ground when they were originally planned. The display we saw in the U.S. was pre-recorded after a successful attempt at an earlier time. 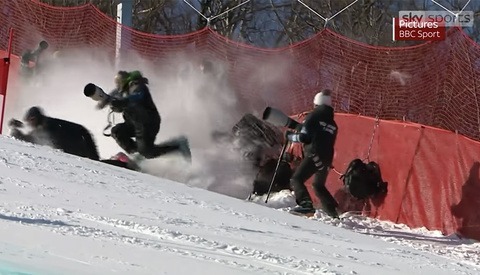 But the recorded event was not witnessed live by spectators or athletes on the ground in Pyeongchang. Originally, a smaller number of drones were supposed to take flight in order to assuage safety concerns for the thousands of people in the stadium at the time, but unspecified issues kept the live show from ever taking place. There are some rumblings that there may have been technical issues due to some kind of hacking. But we have yet to hear more definitive evidence. Update: The events that were related to possible hacking were not related to the drone show, according to Intel. The drones Intel uses for these entertainment purposes are extremely lightweight and very susceptible to gusts of wind that could easily push them off their course. The technology running each drone's programs must also be incredibly complex to properly coordinate hundreds of individual vehicles to move in perfect synchronization. And with every event that has the world's attention serving as a magnet for those looking for the best opportunity to get a message out, hacking is always a possibility. It seems it may be some time before we can expect regular, safe, and dependable drone light shows on such a stage, but this is certainly a start. disney has been doing that for a couple of years. it is cool though.